30 Second Home Made Movie! 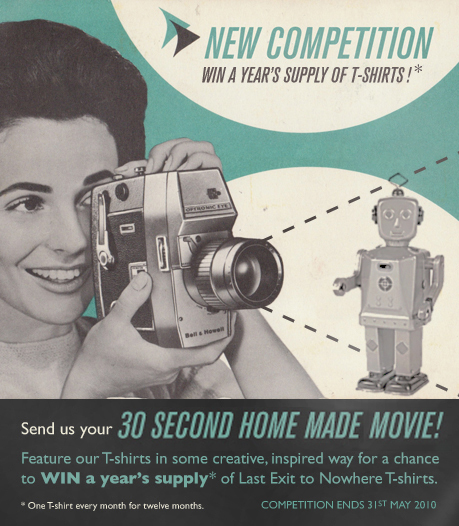 Only a few weeks remain to enter our Best Home Made Movie competition. Send us your youtube/vimeo link to info@lastexittonowhere.com for a chance to win a Last Exit T-shirt every month for a year! Competition ends 31st May 2010.